When trying many rums of similar antecedents – year, maker, style – what we are doing is examining all the ways they are similar, or not. The underlying structure is always the same, and we search for points of difference, positive or negative, much in the way we review wines, or James Bond movies. 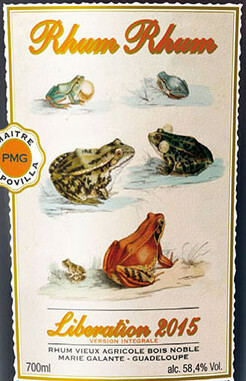 Velier’s own Caronis and Demeraras are examples of this, as is this collaboration with Gianni Capovilla from Bielle on Marie Galante (Guadeloupe). Some reviewers take this to the extremes of delving into the minutiae of single-barrel rums issued in the same year by different independent bottlers, assessing the various barrels from, say, 1988, but I lack this kind of laser-focus, and it’s good enough for me to pick up a few bottles from a given outfit, and see if any general conclusions can be drawn from them. 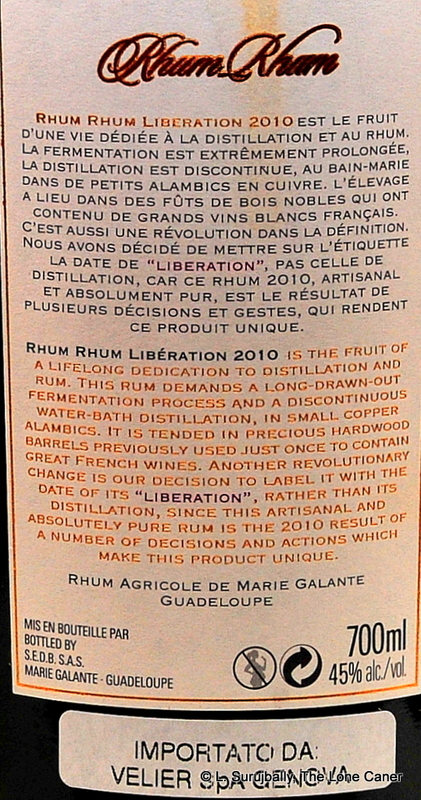 The basic facts are clear enough for the Liberation: one of the first (if not the first) double-distilled rhum to roll off the line of the new distillery next to Bielle which began its operation around mid 2007, aged a smidgen under three years, bottled at a robust 45% (note that the 2012 editions were 45% for the standard 2012 and 59.8% for the Integrale), coloured a dark orange-gold. 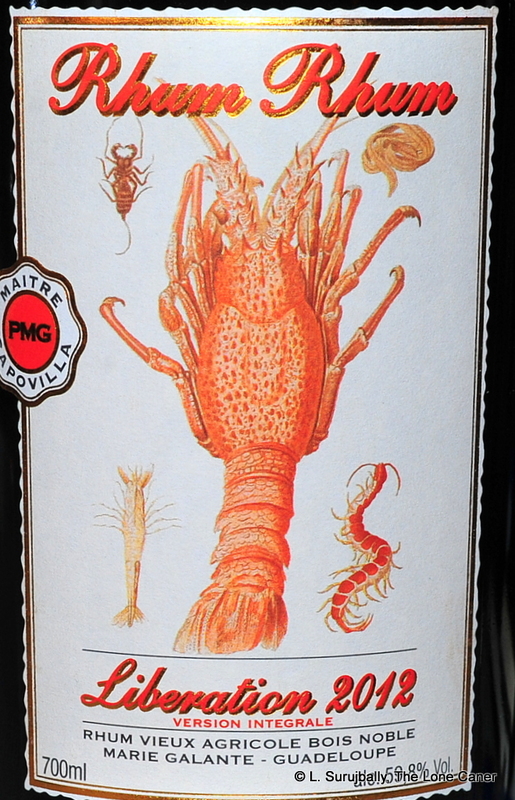 The labelling continues – or originates – the practice of showing the picture of an animal utterly unrelated to rum, which I have been informed is a suggested meal pairing if one was to have the two together (but about which, here, I have my doubts). The nose was quite nice, with all the subtle complexity and depth I had been led to expect from the Rhum Rhum line. Dusty, dry, some citrus peel (orange), watermelon, even some grass. It smelled clear and smooth and clean, with just a hint of pot still lurking grumblingly in the background but staying firmly there. Like with the others, waiting for it to open up rewards the patient, eventually giving up further notes of some light caramel, coconut shavings and brine, all integrating quite well. The palate evinced a discombobulated richness that indicates the evolution these rhums continue to go through, and which suggests a product profile still not firmly fixed in the maker’s mind. It was like a cross between a crisp white agricole and a finished whisky (perhaps a Glendronach, what with their sherry finishes), to the benefit of neither. There were perfumed aromas and tastes of frangipani and hibiscus, which barely missed being cloying; coconut shavings, some brine and olives (though the rhum was not tequila-ish in the slightest), more vegetals and wet grasses, but little of that delicate sugar water sweetness which I sensed in the nose (or vanilla, or caramel). To say that I was nonplussed might be understating the matter – I’m no stranger to divergent noses and palates, but usually the latter is more demonstrative, more emphatic than the former….here the reverse was the case. Still, it finished well, being nice and long and aromatic – the florals dialled themselves down, there was a lesser briny note here, and the vanilla and faint caramel were delicately evident once again, accompanied by a very nice touch of honey. So it was a very nice sipping-quality rum, just outdone by its peers from later years. Earlier I mentioned points of difference. I thought this rhum had a better opening nose than the 2012, but was a little thinner on the palate, was slightly less rich, less enjoyably complex. Honestly, there’s little major difference between the two (though the Integrale exceeds them both)…yet if I were to chose I think the 2012 has my vote, not this one. Here Signores Capovilla and Gargano were still in the experimental phase, maybe, still testing the variations and developing the overall philosophy of the line. I’ve heard the 2015 is not on the level of the 2012, and the 2010 isn’t quite there. So far, then, the 2012 editions seem to be the markers of the brand, and Integrale is still the one to buy. Maybe not quite a second banana to the Integrale from the same year, but not the whole one either. In theory, the only real difference between the Libération Integrale and the one I’m looking at here is the strength (and, if you’re picky about such things, the title). 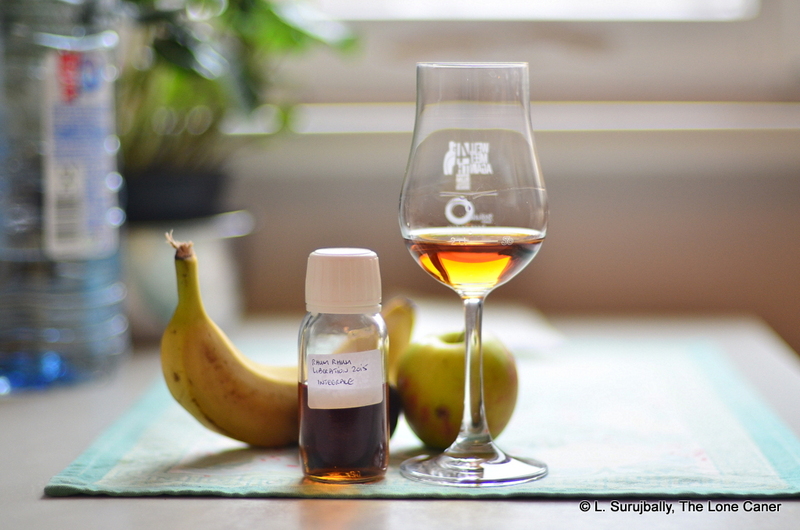 The Integrale was a quiet stunner of a rhum, one of the best agricoles for its price and age, yet it seems odd to say that its lower strength sibling falls so much shorter of the mark. Can that really be just about proof? I tasted them side by side, as well as with the 2010), and to me it was clear that one was markedly better, tastier, yummier…and, in spite of the interesting profile, this one faded from nearly-exceptional into merely above-average. The whole Rhum-Rhum series is a result of a collaboration between Gianni Capovilla who runs the eponymous outfit on Marie Galante (Guadeloupe), and Luca Gargano, who needs no introduction. 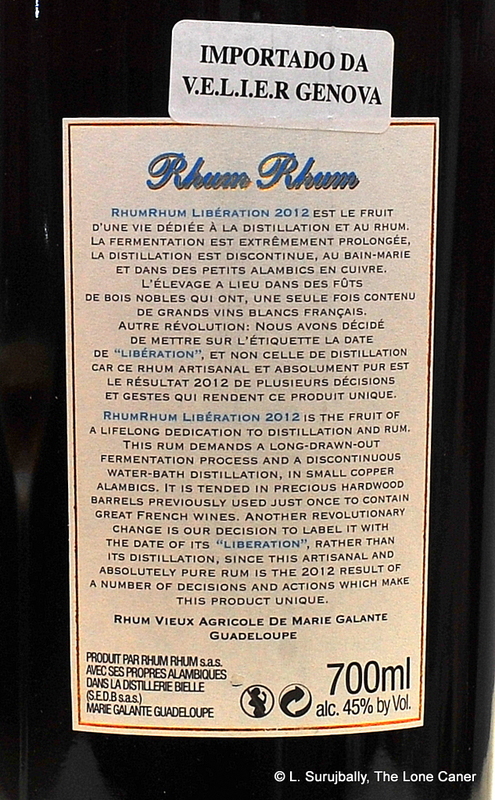 They built a new distillery next to Bielle, which is the origin of the sugar cane that makes the rhum, . They ferment the undiluted juice longer than usual – ten days – and run it through small Muller-built copper pot stills, before letting the resultant distillate age. It’s important to know that unlike many other makers, the year on the bottle is not the year it came out of the distillery and into the cask to begin ageing…but the year it was taken out (or liberated, get it? )…so if my dates are right, they started churning out the stuff around 2007. Other miscellaneous details: bottled at 45%; aged for five years in barrels that once held French wine (Sauternes Chateay d’Yquem); the age was not noted on the bottle, but it’s been confirmed as five years old as for the Integrale, and I idly wondered whether there wasn’t some NAS scheme at work here, a marketing effort meant to remove age as a determinant of price. Probably not, neither man is the type to play such stupid marketing games. 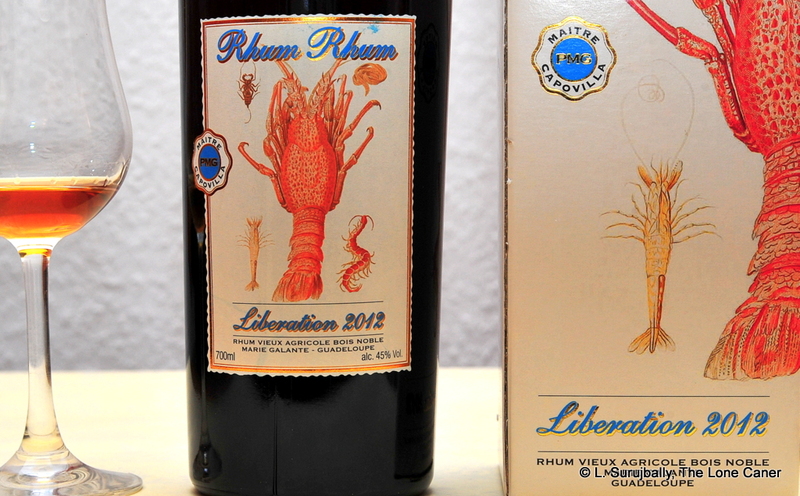 Still — the rationale for the lobster and other creepies which confused me a few months ago has now been cleared up, because although their relationship to rhum is tenuous at best, in this case it is supposed to represent proper food pairings to have with it. So, okay then…let’s move along, stop waffling and start tasting. Nose wise, this dark orange-gold rum presented well, with an admirable complexity hinting at greater qualities to come. Some rubber, citrus peel (nothing too excessive), and sweet lemon grass, freshly cut. It was, like many agricoles, quite crisp, and while somewhat deeper than the 2010, presented many of the same notes. It settled down after some time and smoothened out into a lovely rounded profile of coconut, caramel, brie…and a sly little hint of pencil erasers, followed some time later by the rest of the pencil. I wonder if that was Signore Capovilla’s sense of humour at work. As noted before, I have a certain liking for Guadeloupe rhums which aren’t as tightly wedded to – some say restricted by – the AOC designation. Unlike the Integrale, there was a faint-but-noticeable element of molasses here, combined with and melding into, something vegetal and flowery…deeper than your regulation agricole. And with water a few other elements came to the fore – sugar water, flowers, more of that coconut and lemongrass. It was in its own somewhat thinner way, somewhat similar to the 2010 and Integrale, but drier than either, and not quite as sweet. Overall, I felt the lack of body (caused by the lower proof point) was an effort to make it appeal to a wider audience, rather than indulge the maker’s true ideas on where it should, or could, go. So while the finish closed things off nicely – longish, heated, dry, sweet, some oak with some last grassy-molasses-caramel hybrid notes, mingling with brine – I didn’t think it succeeded as well as its stronger sibling. What we have here, at the end, is a variation on a theme. 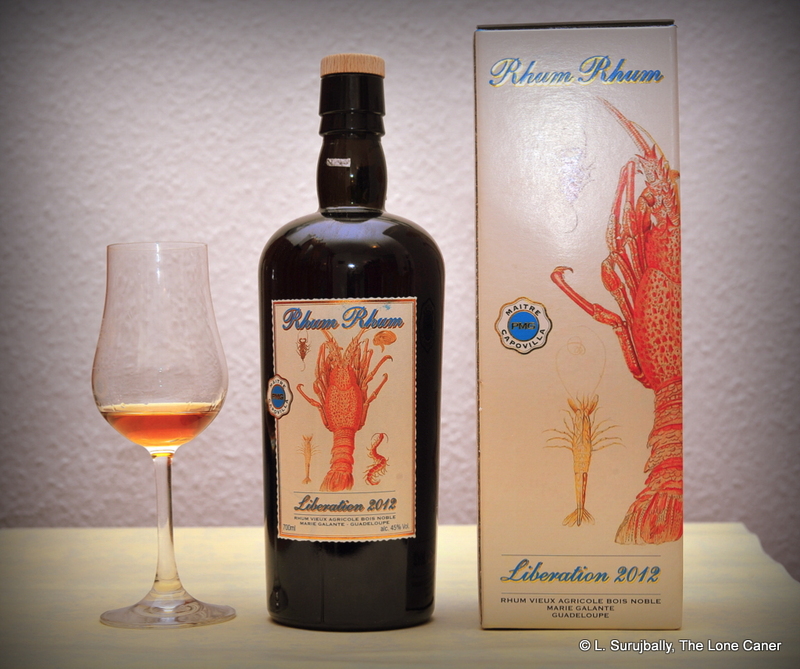 The relationship of this rhum to the Integrale – and, less so, to the Libération 2010 – is there, and no-one could doubt their ancestry. People who prefer standard proof drinks would likely like this rhum quite a bit, and I recommend it. We are, after all, discussing relatively minor differences between one rhum and another, which most won’t care about. Still, those variations, to true aficionados who dissect a single year’s production from a single distillery with the care and artistry only the obsessed can muster, are enough to make me think this is a lesser product, good as it is. It’s not a failure – it’s too well made for that – just not something I’d buy if I knew the Integrale was next to it on the shelf (this is my personal thing which you can ignore, because they’re both very good). Everyone is always so chuffed about Luca’s Demeraras and Caronis. So much so, that his quieter, less histrionically admired efforts sometimes go overlooked (except, perhaps, by the French). Yet Velier has done something quite remarkable here, perhaps even more important than those other two famous bodies of work: in this association with Capovilla, he didn’t select a bunch of barrels, didn’t pick and chose from stuff already made. They literally built a distillery around the idea of making a top end agricole which showcased Gianni Capovilla’s talent and Luca Gargano’s dream. And brought out a bunch of rhums that showed the potential of agricoles to a wider audience. That’s quite an achievement, by any standard. 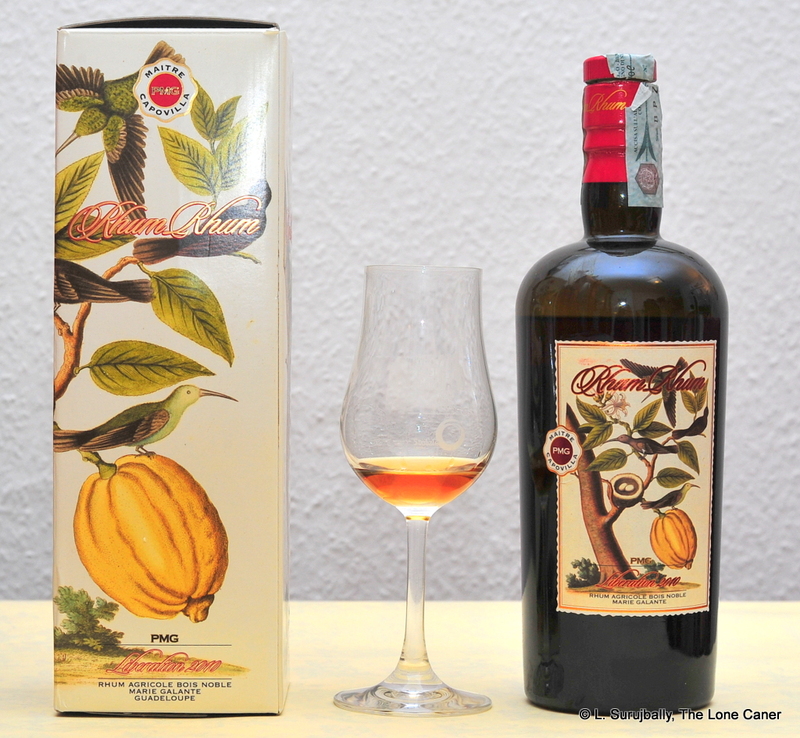 One of the best five year old rhums ever made, and a showcase for the wonderful directions the profile of a rhum can take. If I was underwhelmed by the “standard” 45% 2012 Liberation, and shrugged at the 2010 version (both rated around low eighties scores), let me assure you that the 2012 “Integrale”, bottled at a mouth watering 59.8%, is a beast of an entirely different colour. If your sojourn into agricoles ever takes you to Guadeloupe rhums, you could do a lot worse than stop a while at Marie Galante, where Gianni Capovilla makes his home. Because this five year old blasts even its own siblings right out of the water. The bottle and its cardboard enclosure – which boast the picture of a lobster and other creepy crawlies in a reference I’m sure I’m not clever enough to understand, but which is supposed to speak to appropriate food pairings with the rum – make no notes on the age statement, but running around the internet assures me it’s a five year old (as if the title didn’t already suggest it), aged in white oak barrels that once held sauternes white wine…Chateau d’Yquem from the domaine of Leflaive for those of you who are interested in such things. 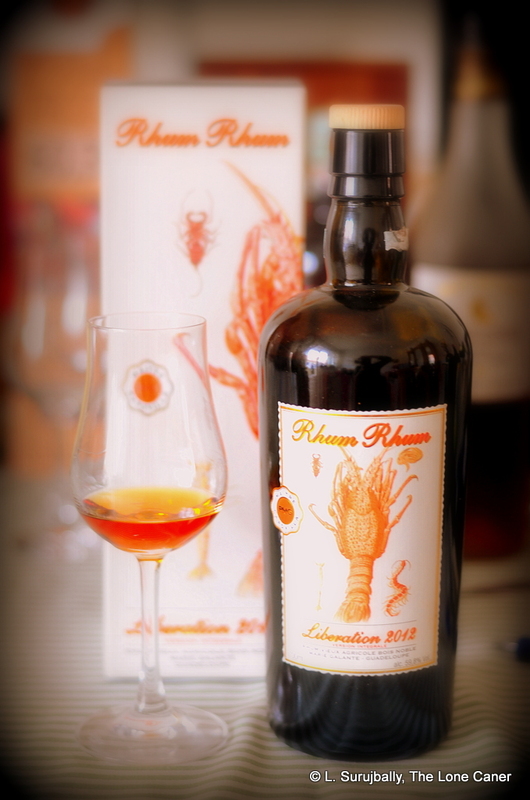 The rhum derived from undiluted cane juice fermented for around ten days, which is quite a long time, relatively speaking – most distillers don’t ferment for more than five days, and many for less. Double distillation took place in Bielle as part of a collaboration between Gianni Capovilla and Luca Gargano (a new distillery was built right next to Bielle with sugar coming from there), using small copper pot stills designed by Mr. Capovilla and built by the German firm Muller, before being set to age. And of course, it was utterly unmessed with – no sugar, no dilution, no additives of any kind. Because Guadeloupe has never sought the AOC certification, they seem to feel a childlike enthusiasm for going in any direction they feel inclined to on any particular day. Here that succeeded swimmingly. The nose presented an amazingly strong, fruity and clean profile right off the bat…plums and rich elderberries (of the kind Mrs. Caner doses me with every time I get a cold), crisp apples and pears, very little citrus of any kind, grassy and vegetal and almost perfumed. Very mildly heavy, well balanced to the senses. To say I was impressed might be understating matters: it was something like a slinky black cocktail dress mixed up with a Viennese ball gown, leavened with a helicopter gunship in full combat mode: three parts sensuality, two parts aggro and one of prurient decorum. Right out of the gate, this rhum was simply ludicrous: nothing this young should be this good. 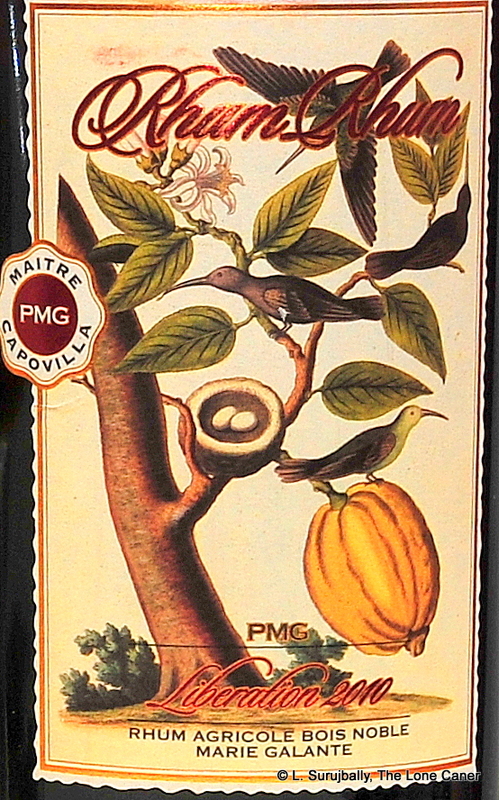 And while it was younger than the Compagnie des Indes Guadeloupe, it was rounder, fruitier and more complex…in point of fact, it reminded me more of the J.M. 1995 which was three times older. This amazing mix of class and sleaze and style continued without missing a beat when I tasted it. Sure, 59.8% was something of a hammer to the glottis but man, it was so well assembled that it actually felt softer than it really was: I tried the Liberation on and off over four days, and every time I added more stuff to my tasting notes, becoming more impressed each time. The dark gold rhum started the party rolling with plums, peaches and unripe apricots, which provided a firm bedrock that flawlessly supported sharper tangerines and passion fruit and pomegranates. As it opened up (and with water), further notes of vanilla and mild salted caramel came to the fore, held together by breakfast spices and a very good heat that was almost, but not quite, sharp – one could barely tell how strong the drink truly was, because it ran across the tongue so well. The fade was similarly impressive, lasting as long as the wait of an errant child for a father’s inevitable punishment: here the soft, firm roundness of the taste gave way to something drier and more assertive, yet this was not unpleasant by any stretch, and gave me final gifts of lemongrass, light brine, teriyaki, and more of those prunes, well dialled back. In fine, a wonderful rhum all ‘round, and for its price, I think it’s a steal, five years old or not. It adheres to all the style markers of the French West Indies, and then goes just a little bit further. It’s just about impossible to get away from Velier and Mr. Gargano these days. This is not to take anything away from Gianni Capovilla, by the way, because he’s the architect who understood and built on the dream that Luca espoused with this remarkable agricole rhum and so real credit is due to him also. But think about it: a decade ago just about nobody outside Italy ever heard of Velier or Luca, and yet today you can’t get into a discussion of pure rhums without his name popping up. That may be the key to why he has become so synonymous with pure rhums. It’s not that he makes anything, produces anything, or distils anything. What he does is choose. He chooses the best of what’s out there in service to his personal values and and ideals, collaborates with the roneros and producers to share that vision…and then he brings the results to the attention of the world. More, he articulates what is possible for everyone else. Not all of his work succeeds, of course, but much of it does. And as we followed the man’s outturn through the years, we all saw the signposts: markers on the road of rhum discovery, making our own sojourn that much more exciting, that much more interesting. Offhand, I think of the dead serious Skeldon 1973 and PM 1974, the dour Caronis, the fine depth of the Damoiseau 1980, joined by the ribald insouciance of the Clairins…and now, by this lovely exemplar of Capovilla’s art. I think I’ll linger here for a while, if you don’t mind, just to savour it some more. The “Liberation’ in the name refers to the liberation of the spirit from the barrels, and according to Cyril of DuRhum, the “Integrale” means “fullproof”.